A bright and healthy smile makes a strong impression on other people and helps you to look and feel your best. You feel confident and attractive, and people enjoy being around you. However, your dental health faces many threats like accidents and disease, which may cause serious damage to teeth, gums, and facial bone structure. Fortunately, advances in modern dentistry have ensured that people no longer need to suffer with bad dental health if they contact one of the best emergency tooth extraction dentists in San Diego. There are many cutting-edge techniques and products that can return any damaged or unhealthy smile back to its former glory, and these oral surgeons provide these services from their dental surgery practices in San Diego. Tooth Extractions: Whether it is a broken tooth, an impacted molar or simply a case of overcrowding, an oral surgeon can quickly and painlessly remove teeth and get your mouth back to normal. Dental Implants: Dental implants are very popular today because they are a perfect replacement for a missing tooth that works just as well as a normal tooth, looks exactly like a normal tooth, and requires no additional cleaning or maintenance. The oral surgeon anchors the implant directly to the jawbone, and then uses a crown or cap that is shaped like a real tooth. Oral Diagnosis & Biopsies: Oral cancer is a terrible disease, but it is easily treatable if it is caught early. Oral surgeons have the ability to properly diagnose any lesions in the mouth to identify problems, and cure them before they become dangerous. Corrective Jaw Surgery: Oral surgeons deal with more than just teeth and gums. Your jaw is an important part of your overall dental health, and oral surgeons can work to make sure your jaw is functioning properly and helping you look your best. Snoring & Sleep Apnea: Excessive snoring can be a strain on family members. Oral surgeons can identify and remove the causes of excessive snoring that are found in the mouth. Facial Trauma & Reconstructive Surgery: Oral surgeons can reconstruct parts of the mouth damaged in accidents. This usually involves a combination of other services to return the mouth to healthy function and appearance. Cleft Lip/Palate: A cleft palate is an unfortunate birth defect that can now be successfully treated by oral surgeons. Most cleft palates can be fixed so that a child can grow without any sign that the cleft ever existed. Dentist: Frank L. Pavel, D.M.D., James R. Eckstein, D.D.S., M.D., Brian K. Oleksy, D.D.S., M.D., and Jason B. Gile, D.D.S. M.D. The Center for Oral & Facial Surgery was established in 1927, which makes it the oldest office for dental surgery in San Diego. The four oral surgeons in this office represent a broad team of specialists that together cover the full range of available oral surgery. The team is committed to providing the best possible service at the lowest possible price, making their office one of the three best for oral surgery in San Diego. Dentist: Fred W. Hammond, D.D.S., M.D., Tim S. Smith, D.D.S., M.D., Robert H. Riding, Jr., D.D.S., M.D., and Kenneth R. Spint, D.M.D. :The large team of dental specialists at Mission Valley Oral & Maxillofacial Surgery have the combined experience of over 100 years, and can perform all the services available for oral surgery in San Diego. Together they have extracted thousands of teeth and implanted thousands of replacements. They also have extensive experience with facial reconstruction after trauma. The team has been recognized as the Top Dentists in America and the Top Dentists in San Diego for many years. Dentist: Robert H. Miner, D.D.S., M.D. :Dove Canyon Oral and Maxillofacial Surgery covers all the available oral surgery in San Diego, from simple wisdom tooth extraction to facial reconstruction and bone grafting. Dr. Miner has extensive education in all aspects of the neck, face, and head, as well as clinical experience with anesthesiology. This combination makes Dr. Miner the most qualified oral surgeon in San Diego with the full medical knowledge of everything related to dental health. 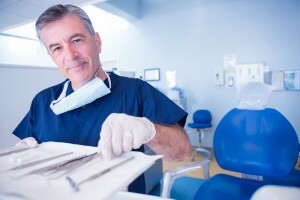 These are the three best offices for oral surgery in San Diego. All three can perform any of the operations that make up dental surgery, most of which they can perform in the safety, privacy, and comfort of their own offices. Getting that beautiful and healthy smile that you have always dreamed of is just a phone call away with one of these offices of oral surgeons in San Diego. If you want to see pediatric dentists in San Diego, click here.